Morgan Scoville was going for his regular run by Buffalo Bayou on Wednesday when his running prowess was put to good use. He witnessed a hit-and-run accident and decided to chase the bad guys who fled on foot. Scoville saw a Chevy Tahoe slam into a black SUV, with the SUV rolling over before crashing into a telephone pole. He immediately thought the people inside the SUV were dead. 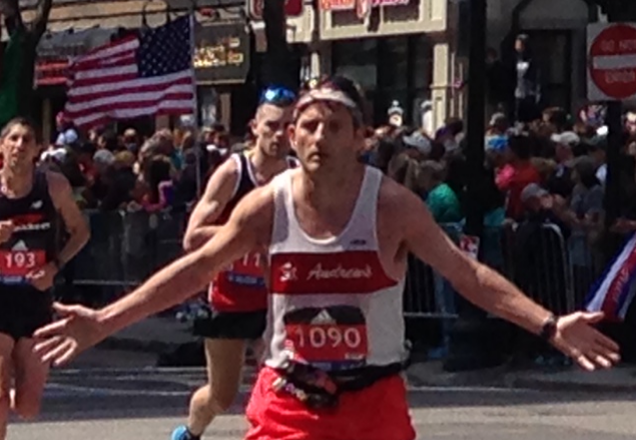 Scoville, who has 16 marathons under his belt, was confident he could chase down the suspects. “There is no way they can outrun me.” He knows what he is talking about, after all, he averages six-minutes-miles. The marathoner kept running after the bad guys and telling people along the way to call the police. It wasn’t the suspects’ lucky day indeed. Not only was Scoville on their tail, but the first cop to join pursuit was none other than Houston’s chief of police, Art Acevedo. Acevedo said: “We caught one right away.” The second suspect was caught shortly thereafter. The Houston chief of police has nothing but praises for the efforts of Scoville that played a crucial role in apprehending the suspects. The police arrested 18-year-old Shakur Tyrese Bishop and charged him with evading on foot. They also arrested 21-year-old Delvonte Squire Wright for evading on foot as well and failure to render aid. The car they were driving was stolen. The condition of the occupants of the SUV is not clear.